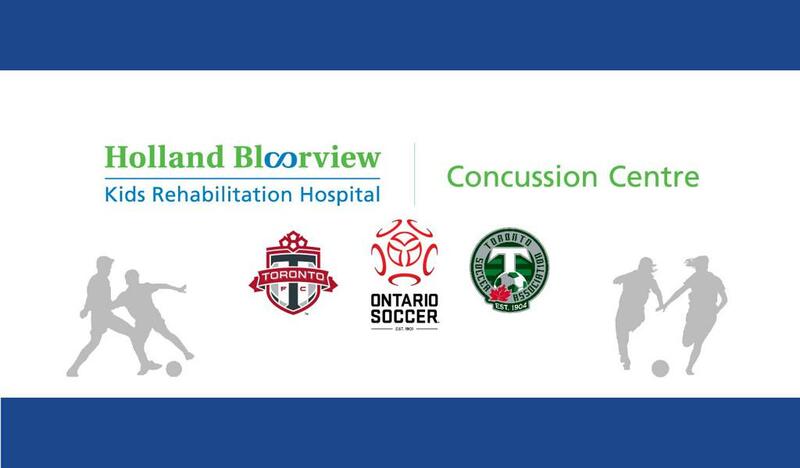 Ontario Soccer and the Concussion Centre at Holland Bloorview Kids Rehabilitation Hospital announced in August, 2016 a comprehensive three-year collaboration with a plan to enhance soccer player safety through the implementation of a first-of-its- kind integrated concussion strategy. Why is it important to properly recover from a concussion before returning to play? Soccer can positively affect the physical, mental and social development of youth. That’s why it’s so important to help kids get back to doing what they need, want and love to do after sustaining a concussion. It’s hard to predict how long a concussion will last and when you are ready to return. Everyone has a different concussion experience. Concussions heal quickly for some people, while others have a longer road to recovery. Returning too soon and sustaining a repeat injury to your brain during recovery puts you at a higher risk of a having a more significant injury or prolonged recovery. It’s critical to determine if you have recovered from a concussion before you return to contact sport. That determination is made by knowing the signs and symptoms of a concussion, expert clinical evaluation that is led by a physician and supported by a multidisciplinary team, and the use of objective measures that are reliable, sensitive and specific when used with children and youth to support return to activity decision making. The baseline testing and early care program at Holland Bloorview is designed to incorporate all of these components and help make that decision for you. It is important to recognize that even if a child’s symptoms appear to have resolved following a concussion, the child may not yet be ready for active play. 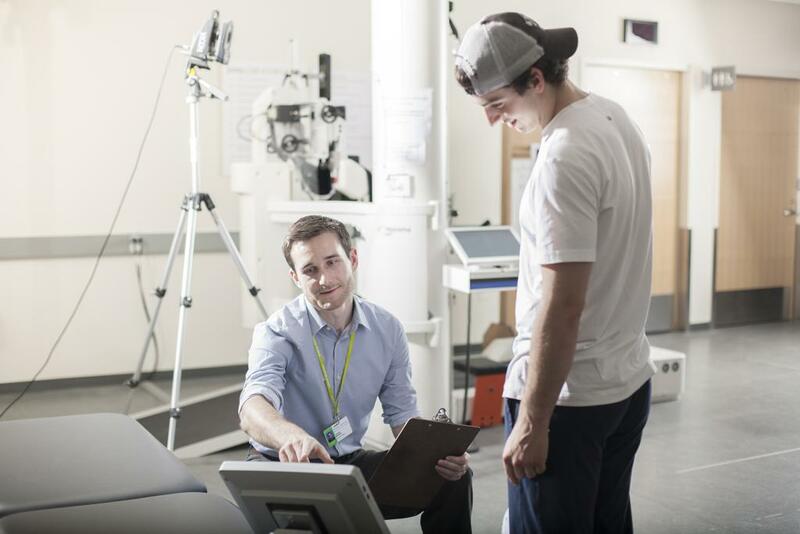 A range of tests that provide objective measures used to get a full picture of brain and body performance before and after a concussion. When conducted properly and reviewed by a qualified professional, a baseline test can be a valuable source of information for physicians to make more informed return to activity decisions. When making return to activity decisions, a baseline test should only be used as a part of a comprehensive concussion management strategy and should not be used in isolation. 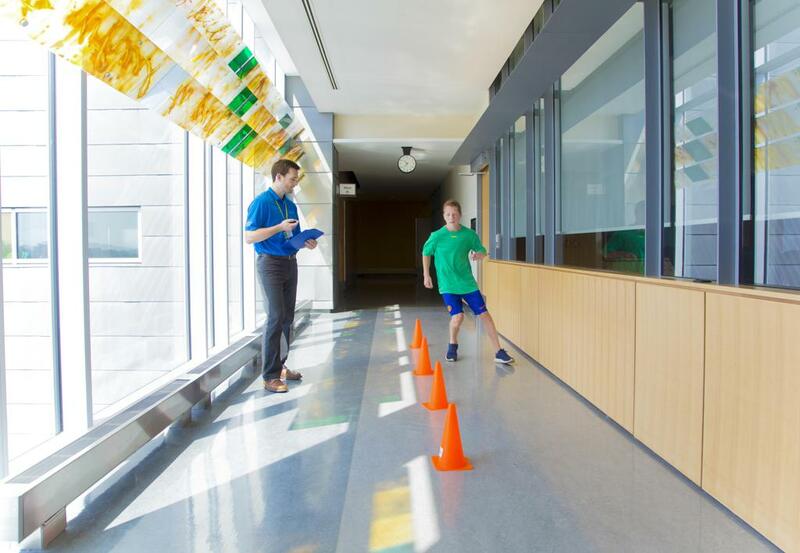 As leaders in the field of pediatric concussion, Holland Bloorview’s concussion centre provides this program to thousands of youth, families and their sports teams each year. Education is also embedded in this program so that you know how to recognize the signs and symptoms of a concussion and what to do to manage the injury effectively. The importance of a baseline testing program lies in physician led post-injury care. This program offers an initial assessment with a physician who specializes in pediatric brain injury and support from a multidisciplinary team of rehabilitation professionals. Our physician’s interpret all aspects of a child’s function (clinical history, neurological assessment and comparison of post-injury to baseline test results) and combine it with their clinical expertise to assess concussion recovery and make the most appropriate return to learn and play decisions. Holland Bloorview is a teaching hospital fully affiliated with the University of Toronto. As leaders in the field, we continually assess our research and contribute to the literature to ensure we provide the best, evidence-based programs and approaches to manage concussion in kids and youth.